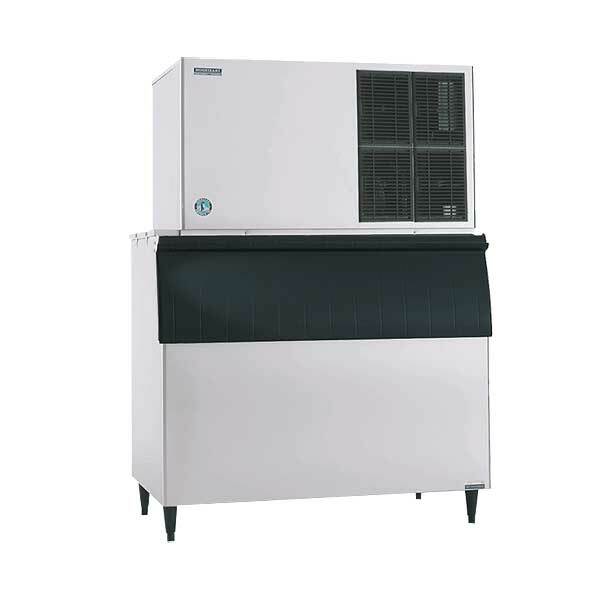 Hoshizaki KM-1601S_J Ice Machines - Up to 1513 lbs of ice production per 24 hours. Stainless exterior. Crescent ice cubes. Stackable for 3170 lbs. of ice production in same floor space. Available in several electrical options and as air-cooled or water-cooled. Self-contained or remote refrigeration (remote condensers sold separately). NSF, UL listed. Use B-800, B-900, B-1150, B-1300, B-1500, or B-1650 ice bins.